Invited guests will select one of the two program offerings. Programs will fill on a first come, first served basis once registration opens. We are unable to reserve specific program dates for you in advance. As of November 8, 2018, all nominations to attend will be considered for 2020. Counselor Conference is an invitation-only* program hosted each spring by Vanderbilt University. Designed specifically for domestic and international high school counselors and Community Based Organization leaders, the program provides an opportunity to explore our beautiful, park-like campus, get to know Nashville, and interact with current students, faculty, deans and key members of the admissions staff. We send invitations to Counselor Conference based on existing or hopeful new relationships between Vanderbilt and high school counselors and Community Based Organization leaders. 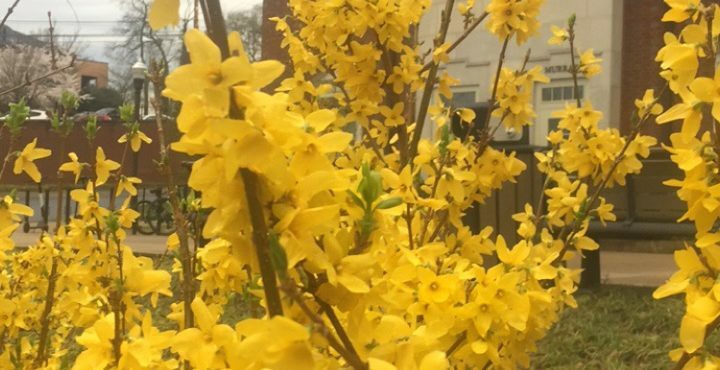 Our aim is not only to foster these relationships with our guests, but also to help counselors gain a better understanding of the academic, social, and cultural experience of living and learning at Vanderbilt. Invitations are non-transferable unless approved by the Counselor Conference team. Each invited counselor may attend only one program with one counselor per high school/organization represented. Invited counselors may not be confirmed for one program and remain on the waiting list for another. You were either nominated by a Vanderbilt Admissions Officer or you wrote us asking to be invited to our program. You have been invited because of an existing relationship with your school or organization or because of our desire to get to know you and your school or organization better. What will I do during the conference? You will have the opportunity to explore our campus and Nashville, meet current students, and visit with the faculty, deans and admissions staff. Who pays for the trip? This is an all-expenses-paid program. For domestic guests, Vanderbilt will reimburse coach airfare up to $350, or 53.5 cents per mile within a 300-mile driving radius. For international guests, we will book and pay for flights upfront; please do not book your own flights. We will do our best to honor your airline and airport preferences, but we cannot always accommodate your requests. 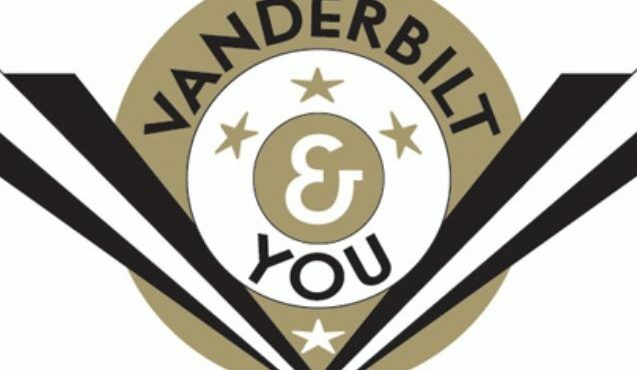 Vanderbilt will accommodate all participants at a local hotel and cover all expenses associated with the program through the duration of the conference. When does the program officially begin and conclude? International counselors arrive on Monday preceding each program. Domestic counselors and Community Based Organization leaders arrive on Tuesday for each program, with formal conference programming beginning at 3:30 p.m. on Tuesday. All conference programming ends at 10:15 a.m. on Thursday. May I give the invite to another member of my counseling staff? This is a personal invitation to you; if you wish to send a different member of your staff, you must notify us in advance. While we typically try to accommodate these kinds of requests, we cannot always do so. How many spaces are available for the program? We can accommodate 95 guests for each of our programs. Registration information will follow a week after you receive your save the date email and will operate on a first-come, first-served basis. The Save-the-Date you received is not a notification that registration is open. A formal invitation will follow in late January that will walk you through the registration process. You may not reserve a place for either program until you have received the formal invitation and followed the registration process. What if I can't stay for the whole program? Since space is limited for this program and we maintain a wait list, please plan on attending all sessions and staying for the duration of the program. If your schedule does not allow for this we will not be able to accommodate you for this year’s program. You are welcome to fill out the self-nomination form to be considered for future programs. What if I can’t come on either of the program dates this year? Please email us and let us know you’d like to be added to next year’s potential invitation list and we are happy to do so. Vanderbilt will accommodate all participants at a local hotel on Tuesday and Wednesday evening and cover expenses associated with the program through the duration of the conference. Each of our guests will have a private room. Can you guarantee that I have a single room? Yes! Every attendee will have his or her own room. Are you able to accommodate my special dietary needs? In most situations, we are able to accommodate special dietary needs. Be sure to let us know of any special dietary needs as soon as possible and we will do our best to accommodate them. How much walking is involved during the weekend? The program involves a significant amount of walking so that you can see most of our beautiful campus and the surrounding area. If you have a limitation, please let us know in advance so that we may accommodate you best. May anyone (spouse, partner, etc.) accompany me? Because this is an invitation-only event, we cannot include others during official program sessions. While you're certainly welcome to explore Nashville prior to and after the program with a traveling companion, we want to be clear that there will be no free time during Counselor Conference to interact with those not invited to the program. We are happy to make your room double occupancy if you would like to travel with a partner. We will send a complete packing list at a later date, but you will need comfortable shoes and rain gear. While attire for the majority of the program will be casual, we will treat you to two dinners out on the town. Before guests purchase airline tickets or make other travel arrangements, they must register for the program, receive confirmation of the registration, and receive the travel information form via email. (The travel form will be distributed to you from the address counselorconference@vanderbilt.edu.) Vanderbilt will reimburse up to $350 airfare or 58 cents per mile driven within a 300-mile radius ($345 reimbursement maximum for drivers). Our guests must complete the required paperwork and book their ticket by our travel deadline to ensure timely reimbursement. Once flying guests check in for our program on campus, a reimbursement check will be mailed to the address they have requested. Once driving guests check in for our program on campus and complete our mileage reimbursement form, their reimbursement check will be processed and mailed. For guests who have not completed all required paperwork prior to arrival on campus, we will continue to work with you post program until we have successfully reimbursed your travel costs. What will Vanderbilt pay for? Vanderbilt will reimburse up to $350 airfare or 58 cents per mile driven within a 300-mile radius ($345 reimbursement maximum for drivers). Vanderbilt will pay for early bird check-in on Southwest. Vanderbilt will NOT pay for comfort seats, baggage fees or your parking at the airport. If I am driving, where may I park? We are happy to provide parking for you at the host hotel, but you must self park in the garage, we will not cover valet parking. How will I get from the airport to Vanderbilt? We will provide your transportation from the airport to the host hotel. Once you register for the program and receive confirmation of your registration, we will contact you regarding travel arrangements. Please note that we are only able to pay for your ticket if we book it for you. Please do not make travel arrangements on your own. If you need to get approval from your organization or country to attend this program, please begin that immediately upon receipt of your electronic invitation. *Guests from Hawaii, Puerto Rico, and the Virgin Islands will be considered as international for travel purposes. If you would like to nominate yourself as a potential program attendee, please follow this link.